SOLUTION: Astornet conducted a Service Oriented Architecture tools study. Our team obtained, installed and tested evaluation software for all tools vendors. The purpose was to recommend to FAA/SWIM team a set of tools to help in the deployment of new business services. Tools tested included test management tools such as IBM Rational testManager, and HP Quality Center. Other tools were studied with the capability to perform stress loading tests, Functional tests, vulnerability tests, Governance, policies and rules tests. Specific tool operational features were investigated. RESULTS: Astornet team provided a full study report with cost/benefit analysis comparing all studied tools. The report included a SWIM testing methodology and a set of recommended tools. These recommendations enable FAA/SWIM team to conduct services testing and certification with assurance as to the quality and security of each deployed service. Astornet study results in saving FAA time and money during the implementation of the new SWIM architecture. CHALLENGE: DOT OSDBU provides services for small businesses through nationally appointed MRCs (Minority Resources Centers). The cost for running these centers must be reported to Congress on a monthly basis. Originally, there are nine MRCs. The amount of paperwork to prepare reports is tremendous as takes the manager enormous efforts. SOLUTION: Astornet team created a web solution whereas, entries efforts are shared between client companies and MRCs, thus reducing the manager efforts in gathering information and computing individual MRCs numbers. 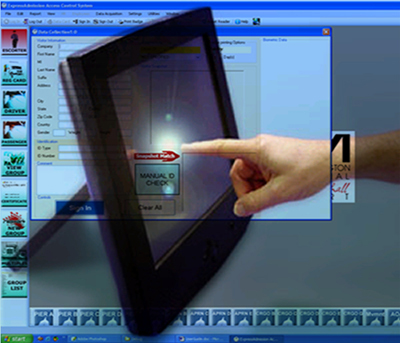 The web interface allows MRCs to register their information as Service Provider. Their registration is further approved by the OSDBU administrator in order to become legitimate. The web interface also allows companies to register their information into the system and select an MRC to receive business support services. During support sessions, MRC personnel enters the hours spent in the different support areas, training, etc...., in a specially designed web form. CHALLENGE: The airport vehicular gate security was faced with the TSA requirements to improve security at the gates. The airport required a system to increase security while maintaining an efficient entry/exit process. SOLUTION: Astornet team created a solution with a touch screen platform easy enough to be handled by non-technical personnel. The system was able to verify credentials authenticity, perform an instant security check for all persons entering the airport, and deliver a vehicle certificate. Astornet also provided the airport police with a wireless device capable of authenticating certificates at any point within the airport. RESULTS: BWI vehicular gate security was dramatically increased and the system was able to efficiently handle and properly manage entry volume. CHALLENGE: The Return Merchandise team was using disparate tools in order to manage the RMA process, making it a very difficult and unreliable process. There was a need to replace the existing system with an easier system capable of improving KBC RMA management process. SOLUTION: Astornet team conducted a study of the existing tools and re-engineered the process. The team suggested implementing a new web-enabled Repair Shop application capable of being shared between all Knorr locations. RESULTS: Astornet designed and implemented the new application. Our consultants imported all existing data in the new system to guarantee business continuity. As a result, Knorr RMA process greatly improved. The system kept track of repaired parts location and status at any time and communicated with the customer through email of the RMA request and promised delivery status. Knorr was able to save on RMA cost and improve customer satisfaction.